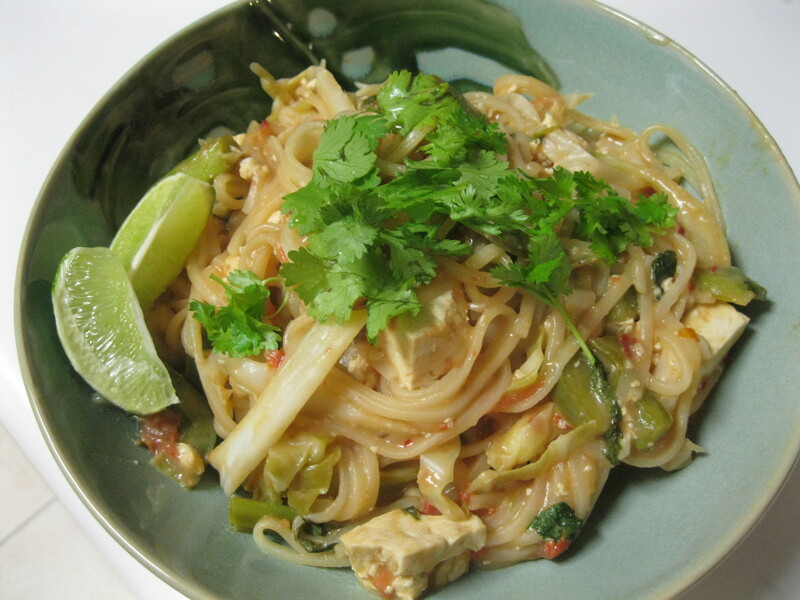 Pad Thai is something that I routinely order at Thai restaurants because if you ask them to omit the egg it’s vegan and gluten-free. Tofu or tempeh also makes a nice addition to the meal. 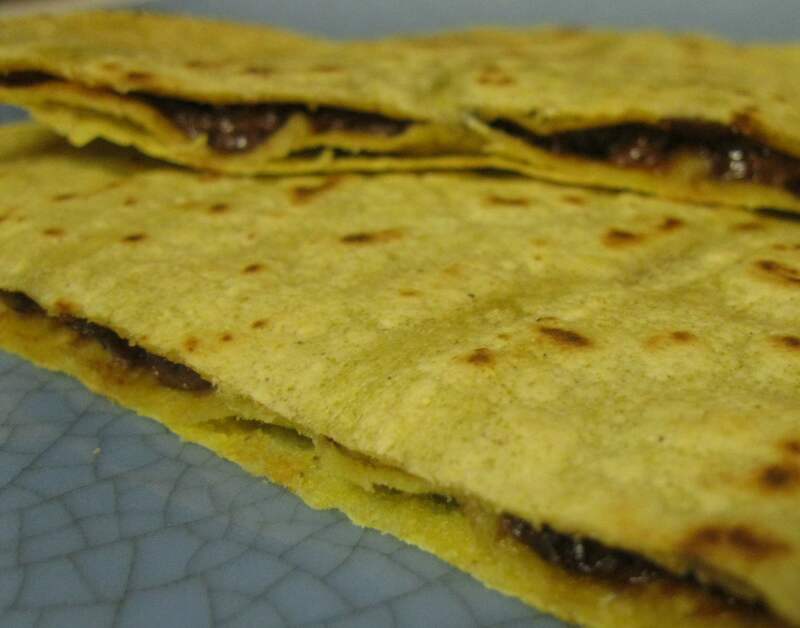 If you’re on a budget or want to make this classic a little healthier you should make it at home. Brent and I took some tips from Vegan Black Metal Chef and made this our own with some substitutions. 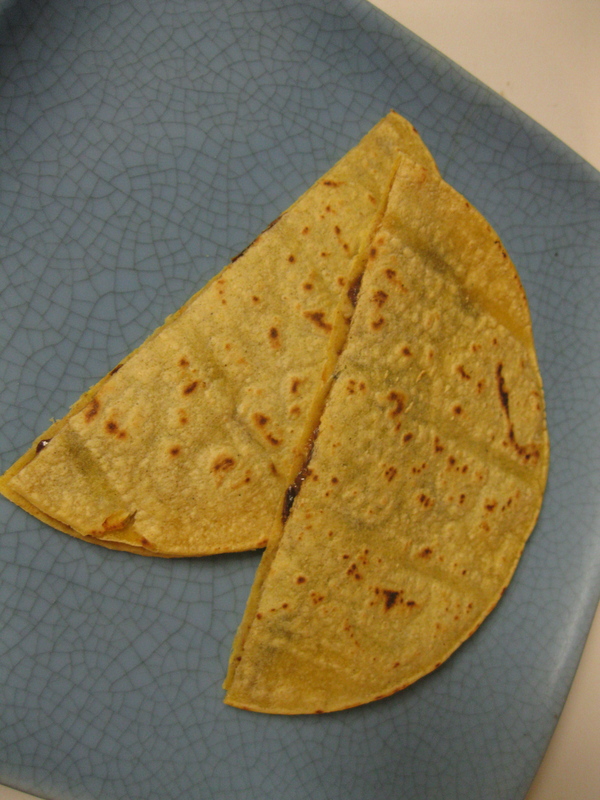 To prepare this dish we assembled the following ingredients. 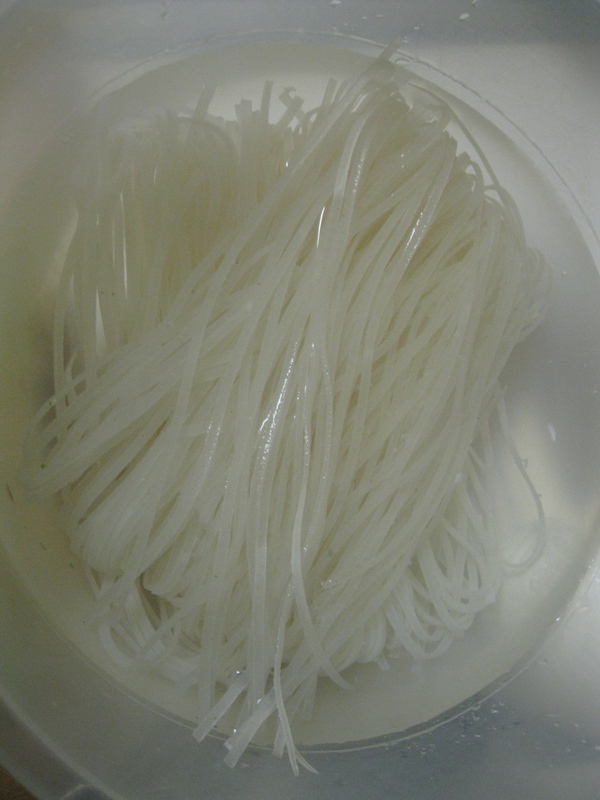 Before you do anything, break the noodles in half and place them in a large bowl of warm water to soak. Cut the tofu into bite sized pieces. Place the tofu on a paper towel and stack 2 paper towels on top and put a pan or a bowl on top to help drain the moisture from the tofu. This will help keep it from falling apart when you cook it later. 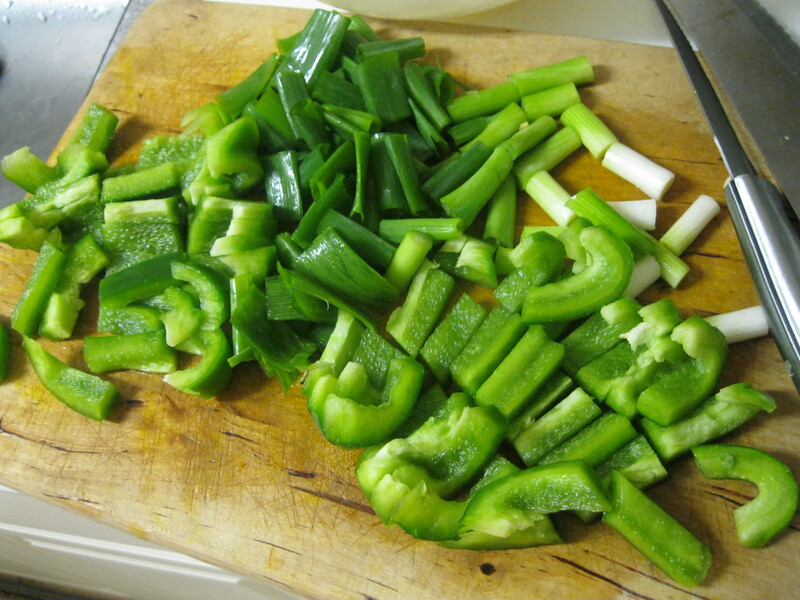 Also cut your veggies into bite sized pieces and set them aside. 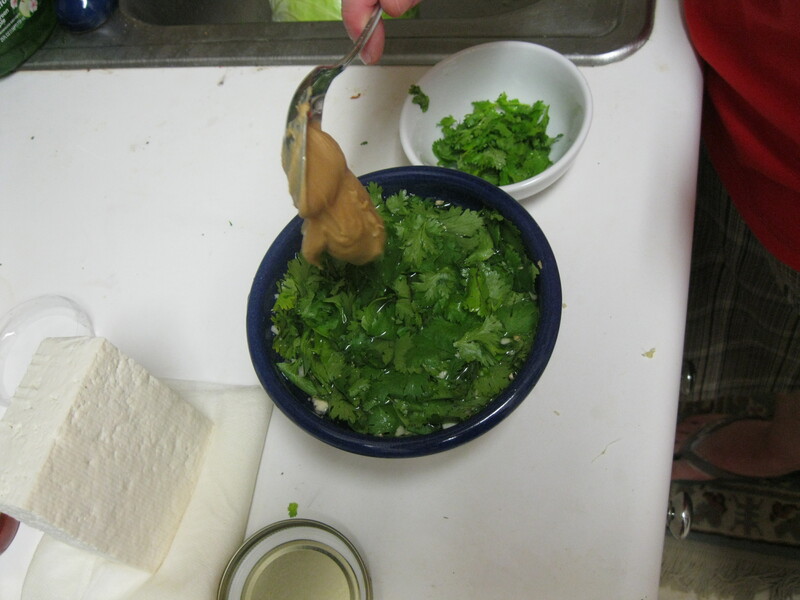 Put the peanuts, garlic, ginger, crushed pepper, peanut butter, and most of the cilantro (save some for a garnish) into a bowl and cover with 1-2 cups of water. This next part is tricky because it’s about your taste and type of ingredients. 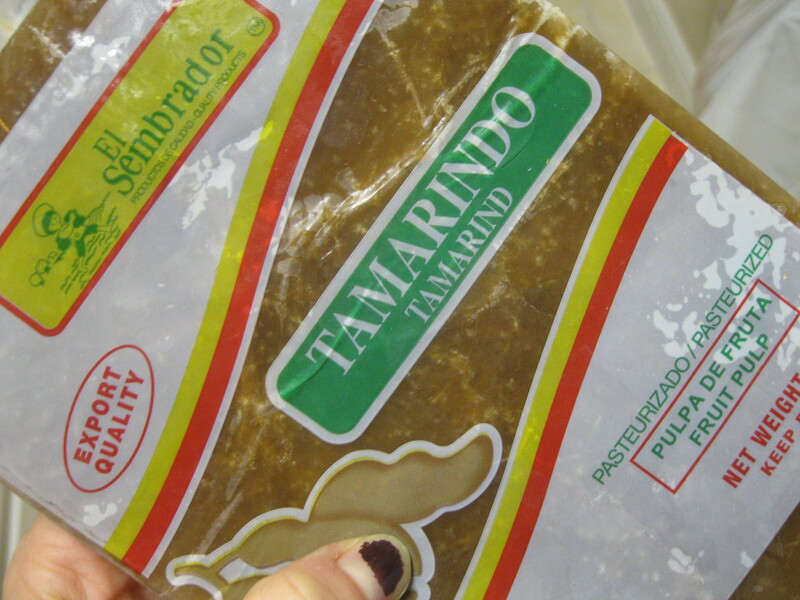 I add 3-4 ounces of frozen tamarind paste. You can also use 1 tbsp tamarind paste or soup base. This is what gives the dish it’s tartness so add it slowly, tasting it until it’s ‘right’. I add about 2 tablespoons of molasses but I don’t like it particularly sweet. Stir it all together and just keep tasting it until you like the flavor of the sauce. 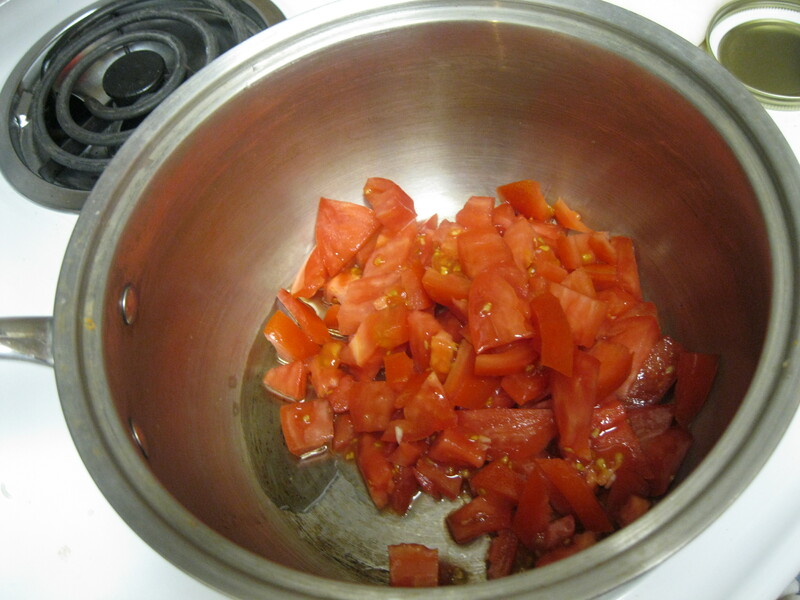 Put a little olive oil, maybe a teaspoon or two, in a large pan and add the tomato. Heat it for about a minute. 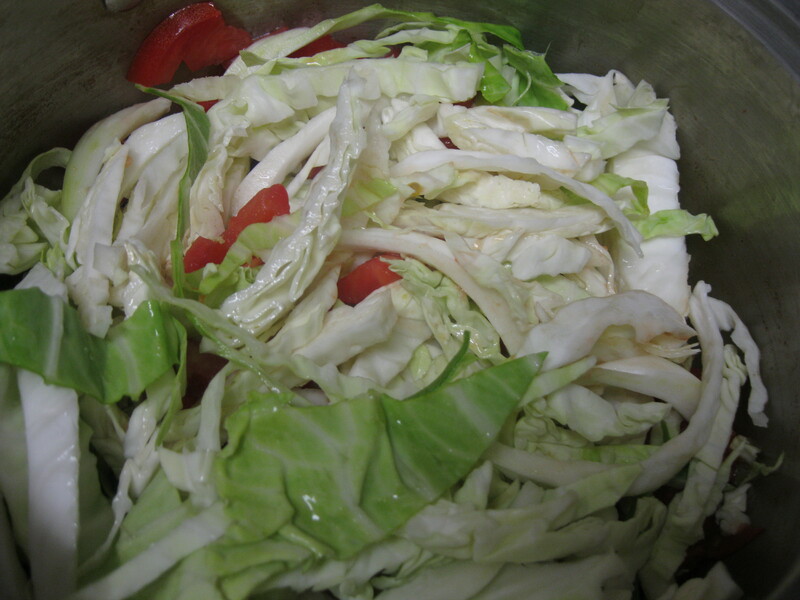 Then add the shredded cabbage or bean sprouts and stir the for 3-4 minutes. Drain the water from and add the noodles, they don’t have to be too dry. A little liquid is fine. Add the tofu, broccoli, bell pepper and the sauce and stir it all together. 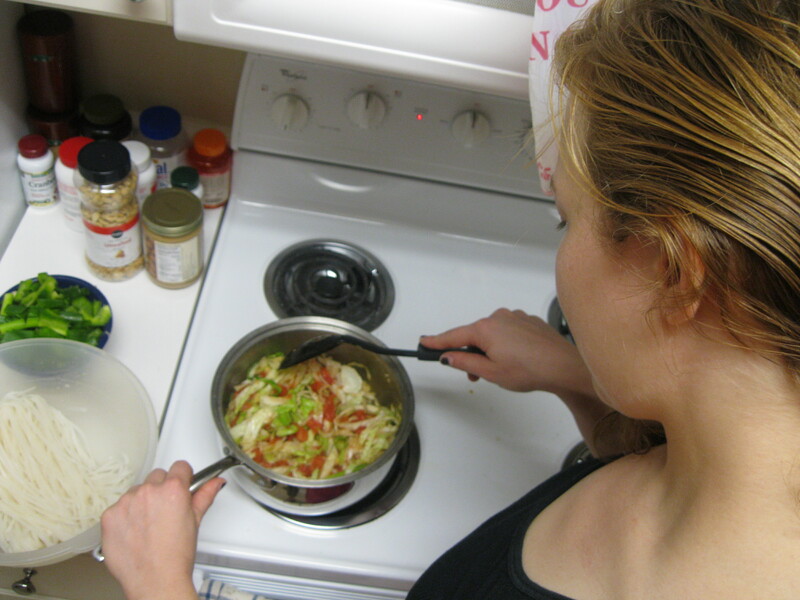 Keep stirring on medium high heat for another 6-10 minutes or until the noodles are soft and have absorbed the sauce. Serve sprinkled with fresh cilantro, crushed peanuts and a lime wedge. Extra vegetables you can add: 1 bunch scallions cut into 1 inch pieces, broccoli florets, 1 small head of bok choy chopped into ribbons instead of or in addition to bean sprouts or cabbage. I hope you get to try this delicious dish. Until then, this is Christie and Brent, signing off.